Today is about required behaviors and culture. Culture is that unwritten set of rules that governs our required behaviors in the work that we do together. If the rules were written, that would be our standard operating procedures (SOPs). Culture is typically an unwritten set of rules, often more powerful that our SOPs. If there is a conflict between our SOPs and our culture, which wins? Culture wins every time. Culture is that behavior which is tolerated. I know we all think that culture is that lofty set of values like integrity and teamwork, but the baseline is what we tolerate. You stand for what you tolerate. Whether interviewing a candidate or coaching a teammate, have you ever hired anyone who had the capability for the role, possessed the skills, had interest and passion for the work, but they did not fit your culture? What happened? You either fired them, and they left. Or they quit, and they left. Or they quit, and they stayed. This entry was posted in Uncategorized on December 15, 2017 by Tom Foster. What Do You Personally Know? “Well, he didn’t get my permission, but I sort of agreed with him,” Deana said. “Everyone said it.” Deana was getting exasperated. “What do you know, first-hand?” I pressed. “Okay, I got a call from the client, and they were worried that we were behind schedule. That’s what I know, and I know that first hand,” Deana insisted. “What do you mean?” Deana thought she was finished. Off the hook. This entry was posted in Uncategorized on August 23, 2017 by Tom Foster. If declarative thinking cannot connect the dots, cumulative thinking can. Cumulative thinking sees patterns and makes connections. A cumulative thinker can learn, not only through trial and error (declarative), but through the documented experience of other people. This documented experience could be an article in a trade journal or magazine, a book, research on the internet or perhaps a conversation with a colleague. Standard operating procedures (documented SOPs) can be a powerful source for cumulative problem solving. Given a problem to solve, a cumulative thinker can see the pattern in the problem, connect it to a documented best practice, problem solved. This works really great, as long as we have solved the problem before and documented the solution. This is the land of best practices. Best practices is an S-II cumulative problem solving strategy. This entry was posted in Uncategorized and tagged cumulative, declarative, states of thinking on February 1, 2017 by Tom Foster. Earlier this year, two sharks entered the water, complete with the most sophisticated tracking ever witnessed by the human race. And sharks do what sharks do. We watched, and we wondered, and we watched some more. But it’s over and TRUMP WINS. 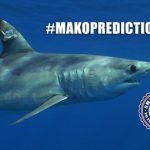 On Monday, Sept. 26, as the human candidates took the stage for their first debate, Nova Southeastern University (NSU) researchers starting tracking the Clinton Shark (motto – “Swimming Stronger Together”) and the Trump Shark (motto – “Mako America Great Again”) as they did what mako sharks do, they swam, like sharks. After logging mile after mile from September 26 through noon, Fri. Nov. 4, 2016, the Trump Shark beat the Clinton Shark 652.44 miles to 510.07 miles. TRUMP WINS! The project is the brain child of NSU’s Halmos College of Natural Sciences and Oceanography. They have a web-based tracking map so you can track each candidates surrogate shark throughout the race. 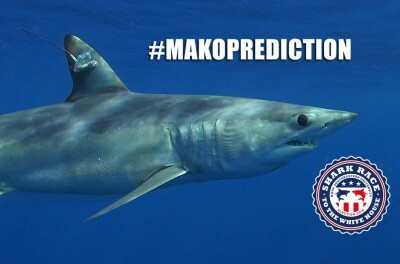 This entry was posted in Uncategorized and tagged #makoprediction, Clinton, race to the white house, Trump on November 7, 2016 by Tom Foster. Sep 9, 2016 kicks off our next Working Leadership Series in Fort Lauderdale Florida. This program contains twelve modules in six classroom sessions. The program instructor will be Tom Foster (that’s me). Who Should Attend? – This program is designed for Stratum III and Stratum IV managers who are currently in leadership roles. Schedule – Curriculum details below. Role of the Manager. Introduces the distinction between supervisor and manager roles. Clarifies the specific goals necessary for effectiveness. This module creates the foundation on which rest of the course material builds. Incorporates source material from Requisite Organization – Elliott Jaques. Tom Foster will be the instructor for this program. 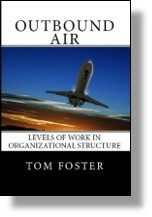 This entry was posted in Uncategorized and tagged leadership course, leadership program, tom foster, working leadership on August 29, 2016 by Tom Foster. “You feel your manager is better at hiring than you are?” I wanted to know. “So, you are so easily turned away?” I challenged. When we understand that it is the manager accountable for the output of the team, everything changes. Janice’s manager is accountable for the quality of Janice’s decision, yet Janice is so easily turned away. This is a two way street. Janice needs help (we all need help and coaching makes us better) and she should actively seek that coaching from her manager. “I need help. Here is the decision I am struggling with, and here are my two alternatives.” Powerful words. This entry was posted in Uncategorized and tagged hiring manager, hiring talent, manager once removed, managerial accontability on March 2, 2016 by Tom Foster. This post was originally published Dec 23, 2005. As Matthew looked across the manufacturing floor, the machines stood silent, the shipping dock was clear. Outside, the service vans were neatly parked in a row. Though he was the solitary figure, Matthew shouted across the empty space. He reached for the switch. The mercury vapors went dark. He slid out the door and locked it behind. We hope you all have a wonderful holiday. As we cross into our 12th year of publishing, we will take a short break. Management Blog will return on January 4, 2016. Watch for the release of our online program – Hiring Talent 2016, scheduled for Jan 15, 2016. This entry was posted in Uncategorized on December 24, 2015 by Tom Foster. Okay, we got integrity, customer care and individual initiative. The last value we want to interview for is our people. By that, I mean respect for others, support for others, collaboration and cooperation. Same model as the past couple of days, interviewing for an attitude, a characteristic or soft skill. Identify the behavior connected to the attitude or characteristic. Identify a circumstance where we might see that behavior. Develop questions about the behavior. Your description identifies some behavioral things, like collaboration, cooperation and support. That’s a good start. Your team can likely come up with more related behaviors to the value you have in mind. Behavior – Collaboration or cooperation in a team. Tell me about a time when you worked on a project that required multiple steps and multiple people to solve a problem? To solve the problem, how did the team have to work together? When the team worked well together, what happened? When the team did not work well together, what happened? When the team did not work well together, what was the impact on the project? How did the team know when it was working well together and not so well together? When the team did not work well together, what did it do to start working better together? What steps were taken? What was said? Behavior – Supporting another teammate. Tell me about a time when you worked on a project where another team member was taking the lead, but some team members disagreed with the work method or sequence of work? What was the purpose (goal, objective) of the project? How many on the project team? What was the leader’s role on the project team? Which side of the disagreement were you on? Behavior – Respect for a manager, or respect for another team mate. Tell me about a time when you worked on a project where you disagreed with the manager about a work method or sequence of work? How did you approach the disagreement? You can interview for any attitude, characteristic or soft skill, as long as you can connect it to behaviors. This entry was posted in Hiring Talent, Uncategorized and tagged collaboration, cooperation, hiring talent, human relations skills, respect on November 13, 2015 by Tom Foster. Management Blog is proud to announce its selection as Best HR Blog – 2015. “What do you think you should do?” I asked. “I guess I am not frustrated with being the quarterback. I am frustrated because the process is always late,” Loren realized. “You are really piling on the sports analogy,” Loren complained. This entry was posted in Uncategorized on September 4, 2015 by Tom Foster.